The UpdateAppList request is sent after SDL has found a new device over one of the available transports. 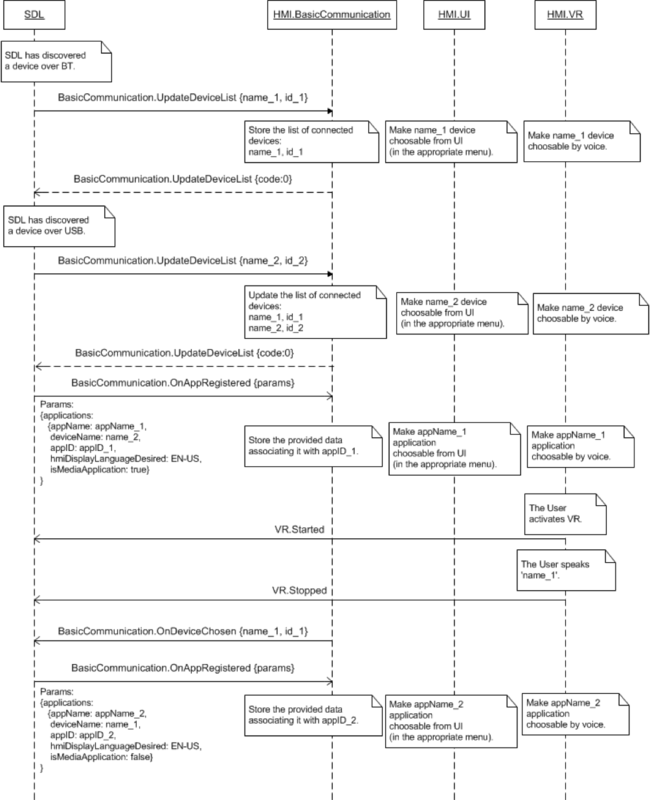 The SDL's default Transport Manager (TM) and Transport Adapters (TA) behave in the following way. TM performs a periodic search over Bluetooth. 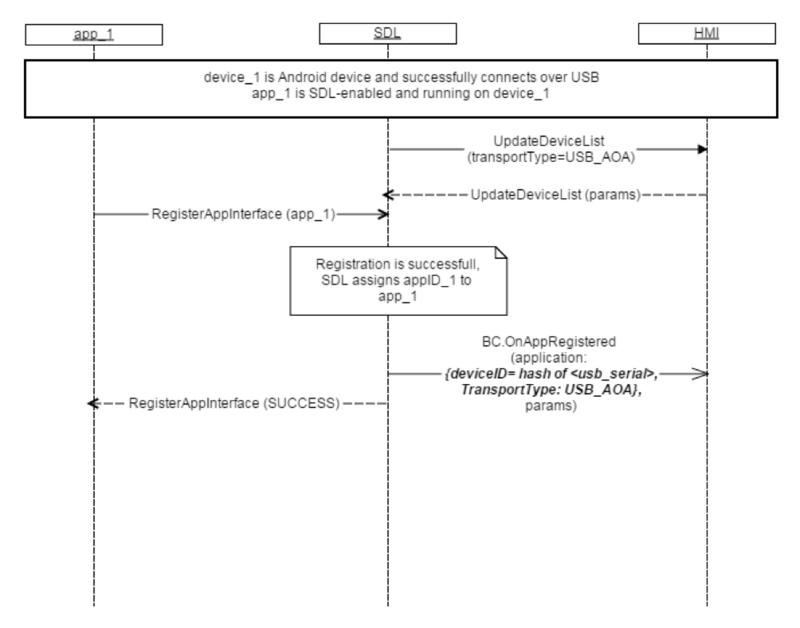 Once the device is found, SDL starts the procedure of searching for SDL Enabled Applications on the device. SDL Sends BasicCommunication.UpdateDeviceList with the name and id of the discovered device to the HMI. SDL needs to receive OnDeviceChosen(deviceInfo) or OnFindApplications(deviceInfo) from the HMI to allow registering applications which are running on the connected device. 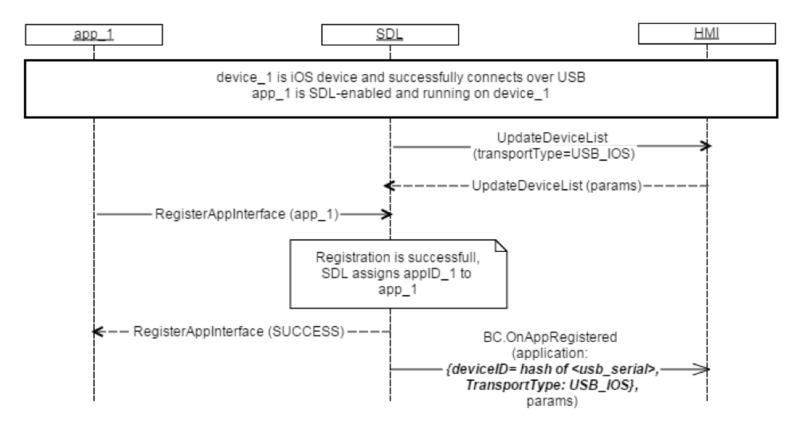 SDL sends BasicCommunication.UpdateDeviceList to HMI when iOS device was connected over Bluetooth with applications registered and running on SDL and was also connected over USB. SDL Sends BasicCommunication.UpdateDeviceList with the name, id, and TransportType (AOA, iOS) of the discovered device to the HMI. Provide the user with the possibility of choosing among the found devices through either display, voice recognition or both.